Needing Leamington Spa removals and storage? Amor Removals is a family run company with a wealth of knowledge and experience in the removals and storage industry. 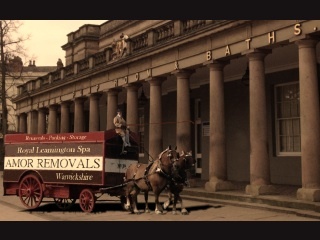 We provide removals in Leamington Spa with UK wide delivery. Contact us to arrange a FREE no-obligation removals survey to discuss and assess your move. A formal quotation will be sent to you via email or post within 24 hours. We pride ourselves as being a caring Leamington Spa removals and storage company and make sure all your questions and worries are taken care of before your move. For your peace of mind we provide insurance cover for all removals we carry out. If self-packing is not your thing then our full-packing service will suit you perfectly. For this we usually arrive at least one day before your move to carefully wrap and protect all your worldly possessions. If you would like your fragile goods packed only then our part-packing service will take care of this. After packing your fragile goods we will leave you with enough boxes and packaging materials for you to complete the what’s left. Whatever you need, just ask and we’ll look after you.